Skate shoe is Nike's latest to don a full cork upper. 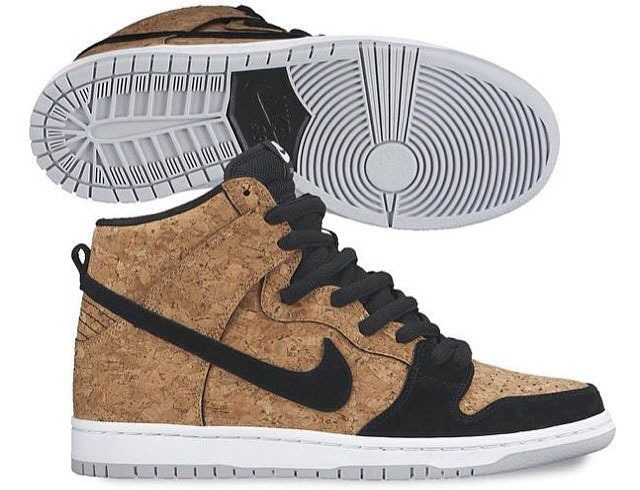 Remember JBF Customs' 'Cork' Nike Dunk SB? It looks like he got a jump on Nike Skateboarding, who will be releasing their own version soon. Below is our first look at the catalog shot, which highlights the shoe's cork upper, black suede paneling and white sole. The design is actually pretty close to JBF's custom, minus the premium materials and gum bottom. No word on a release date yet, but we'll keep you posted here at Sole Collector.